A weekend at the lake is all about friends, family, and relaxation. Since no one is expecting a fashion-forward runway moment down the dock (but please, by all means, you do you), this is a great time to pull out classic, comfortable pieces that pair well with anything. Our recommendation? 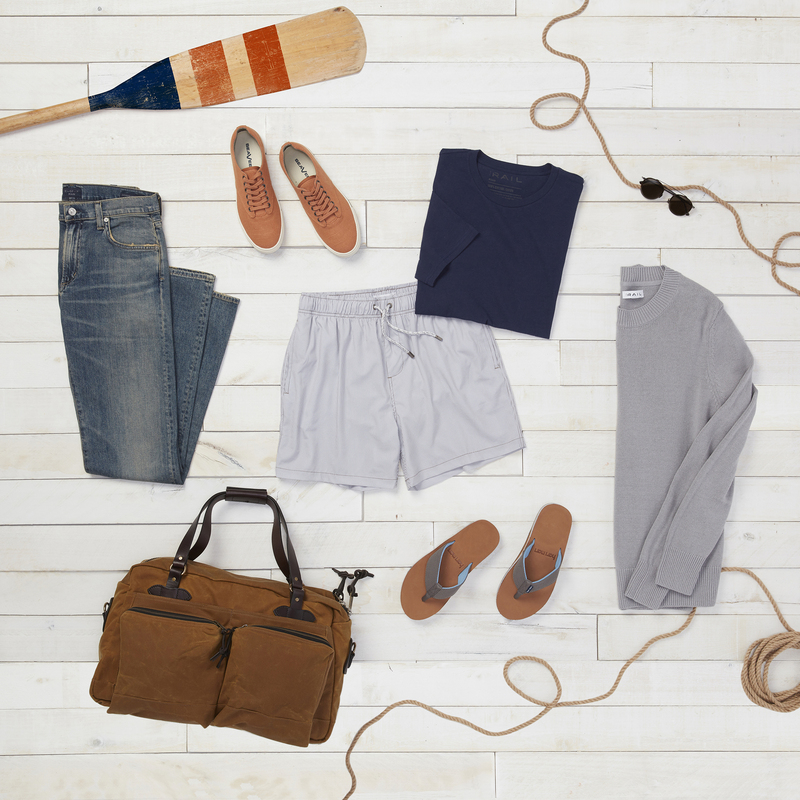 Keep it simple and incorporate a few strategic layers so you’ll have everything you need for an epic weekend in one duffle bag. Mixing pieces is a great way to rotate some of your favorite items while still looking fresh. With a handful of simple pieces like the ones shown here, you can pull together a number of different combinations. 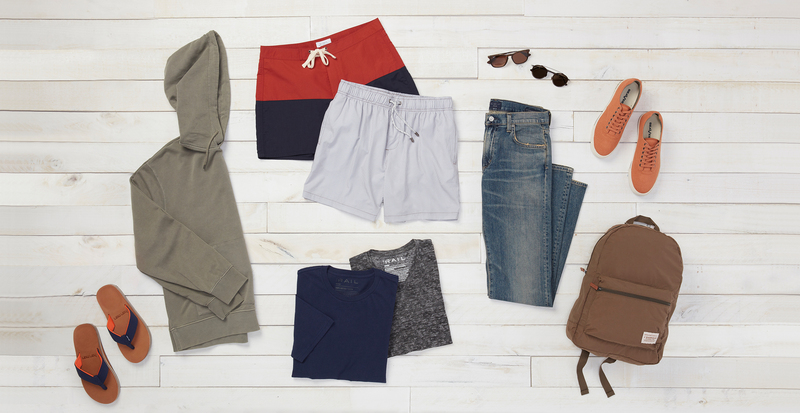 Starting with swim trunks, you have three different shirt options: a tee, a hoodie, or none at all. Moving down, a sandal will be your casual go-to while a slip-on sneaker is a bit more practical for venturing off to find bonfire wood. By keeping the pieces neutral, you’ll be able to play around with the clothes you pack without having to worry about matching. We have our fingers crossed for beautiful weather, but we’re not always so lucky. Even on a perfect day, the temp can change in an instant when your boat ride becomes too breezy or the sun sets on your beach party. 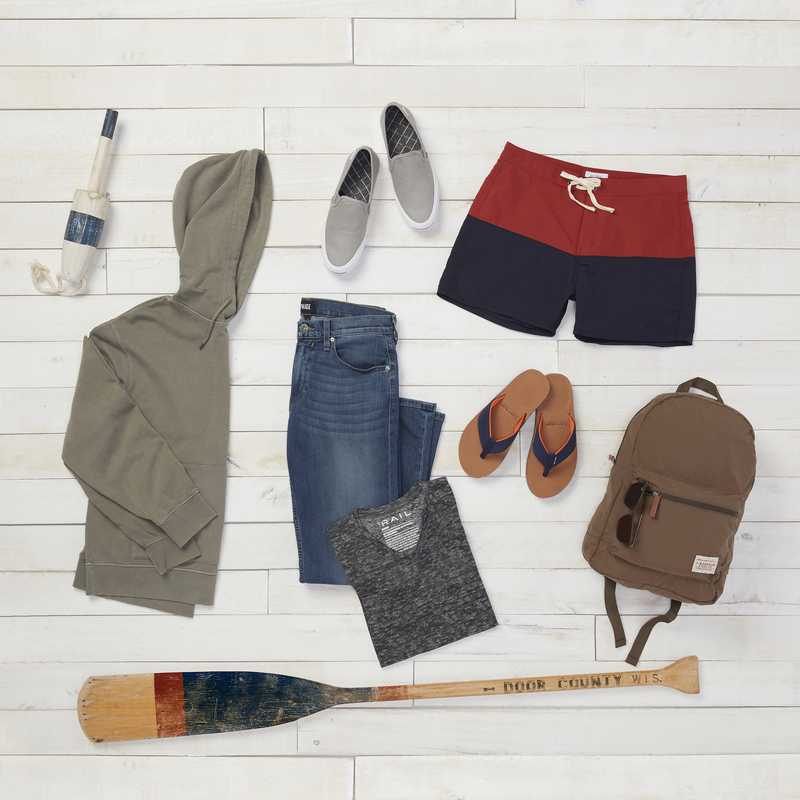 While swim trunks, sandals, and T-shirts should suffice for the warmest parts of the day, elevate your look for early mornings and cool evenings by pulling on a crewneck sweater. You’ll never regret packing a pair of relaxed-fit jeans, and sunglasses are always a good idea.